– Tour de France cycling fans in pictures (the guardian). – Amtrak in NE region is testing out bicycle accommodations (times union). – You can now buy Bay Area bike-share membership online (click here). 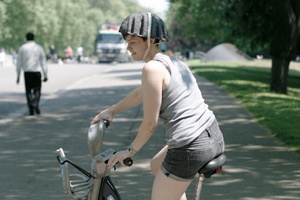 – Recyclable paper helmets for the helmetless bike-share program (the verge). – Cycling and drinking will land you in jail in Poland (krakow post). – San Jose Bike Party! this Friday. – Pedalfest in Oakland this Saturday. – Midnight Mystery Ride this Saturday.